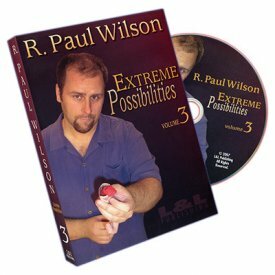 It's a rare thing when one of mentalism's leading minds divulges the secrets to his professional act - the material he's been earning a living with for decades. Yet, on this volume of an extraordinary video series, that's exactly what Richard Osterlind does - sharing not only the methods, but the fine details, of the powerhouse effects he's been wowing corporate and trade show audiences all over the world with. Watch him amaze the audience in performance and then go behind the scenes as Osterlind, along with host Jim Sisti, shows you how it's all done.